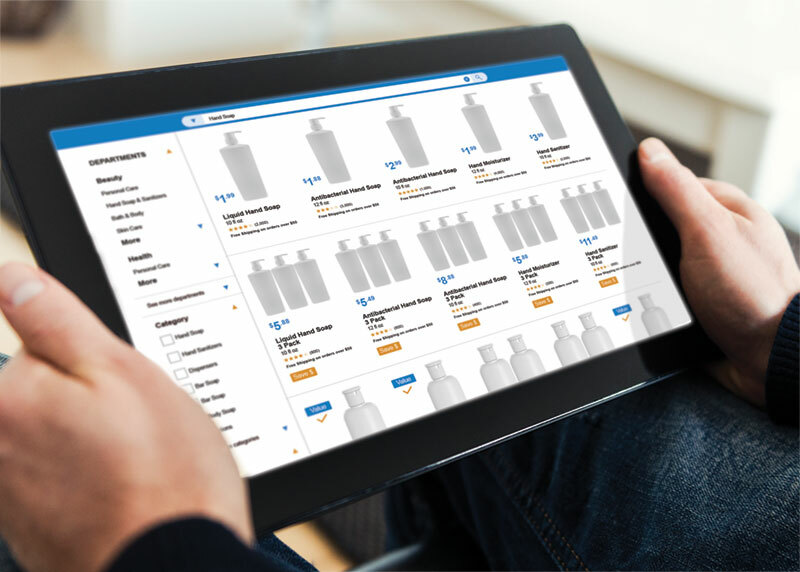 The Scan Group, Inc. Digital Shelf Management - The Scan Group, Inc.
Our Digital Shelf Management (DSM) Team can lift your brand’s online image to the highest level. We foster close relationships with key players in the digital space – from Walmart and Amazon to many other online retailers. This valuable access allows us to manage your brand’s presence with knowledge and speed. By making sure ecommerce images, product data, and enhanced content are in tight integration with the printed package, your brand’s presence is seamlessly unified across all online channels. Your shoppers see the same, authentic product regardless of where or how they are shopping. Improved customer shopping experience. Shoppers get the most current and relevant product information that helps with their purchasing decision. Greater online retailer consistency. The same product is represented consistently across all ecommerce channels. Reduced shopper complaints. What your shoppers see online is exactly the same product that they would see in the store. New Item Set-up – We complete those labor-intensive and tedious online retailer-specific forms for making your products transactable online and submit them on your behalf. We work closely with your internal business teams to ensure new items are set-up accurately and on time. Creation of Digital Content – Our creative team can develop any visual asset imaginable including 3D product/package renderings, custom alternative imagery, and enhanced content including video production. We have an in-house photo studio for those who prefer high-end photography. Optimization of Existing Digital Content – We leverage the knowledge from each of our customers and couple that with industry insights to optimize the marketing copy and imagery of your products shown online. This SEO initiative results in shoppers being able to quickly and easily find your product regardless of the online retailer. Development of Custom Internal Tools and Systems – We understand that managing your digital shelf involves more than just developing, auditing, and syndicating accurate and up-to-date content. Having internal tools and systems such as a robust PIM/DAM system is essential for organizing and managing your valuable assets. Our team can develop a system specific to your needs. Support and Training of External Partner Tools and Systems – Our team is well-versed across several external platforms for supporting your digital marketing needs. We have extensive knowledge working with companies such as Clavis, Salsify, Kwikee, Content Analytics, and One World Sync. For more information download a printable version of our DSM brochure here. WHAT IS YOUR BRAND’S PRESENCE ONLINE? WE OFFER A CUSTOMIZED SOLUTION. Gather all of your brand’s digital assets and develop a customized audit tool that contains product data, images and other relevant information. Conduct an online audit of your brand’s presence across identified online retailers and third-party resources. Document findings in audit tool. Syndicate updated and accurate digital assets to identified online retailers and third-party resources. Perform a follow-up online audit to ensure updated and accurate digital assets have been successfully incorporated across identified online retailers and third-party resources. 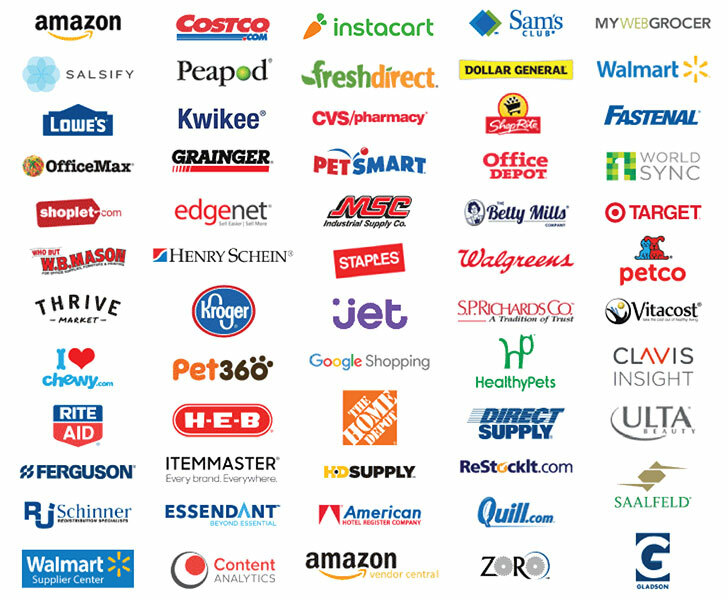 *Note: This is only a sampling of the online retailers and related third-party resources supported. The logos shown are for general identification purposes only. These trademarks are the property of their respective owners. 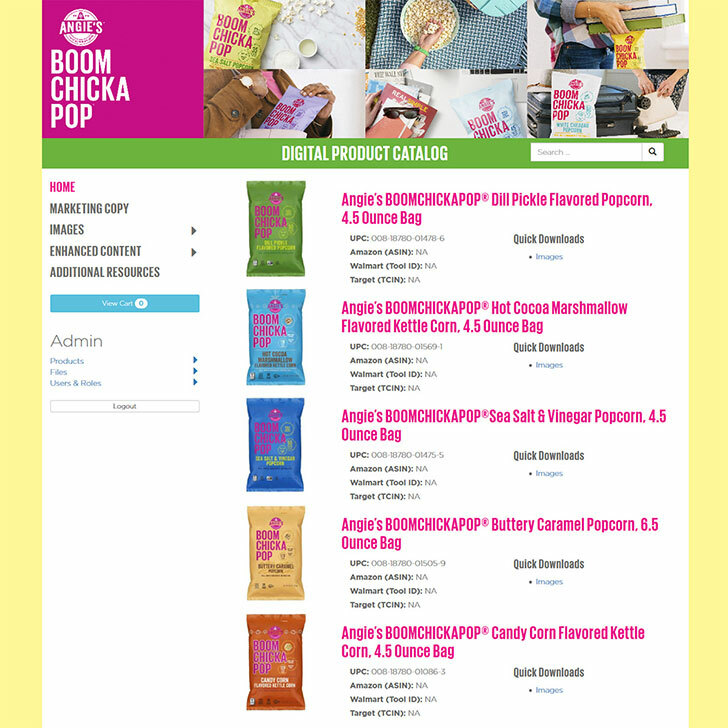 The Scan Group developed a digital product catalog to store and manage all BOOMCHICKAPOP® digital assets, thus resulting in a more efficient process for syndicating accurate and updated content to online retailers.